The Countryman gets a a boxier, stocky look. The new Mini Countryman may have "Mini" on the hood, but it's actually the biggest vehicle in the brand’s history. 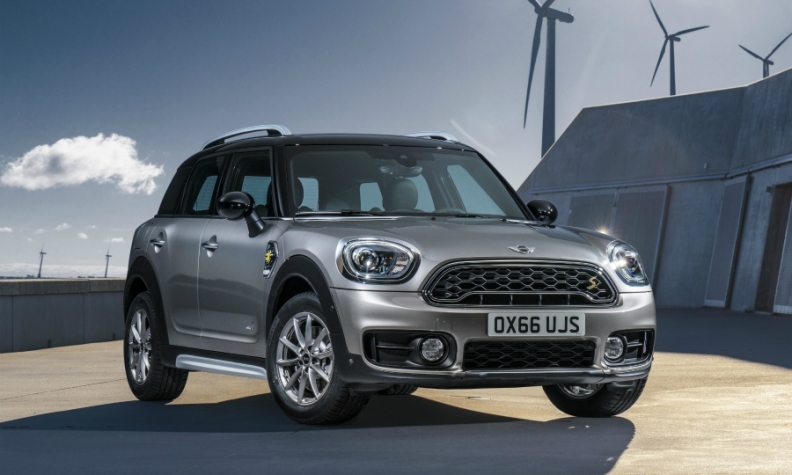 Mini has added a plug-in hybrid variant to the Countryman family, a first for the brand. Mini, which launched the Countryman nameplate in 2010, increased the new model’s length by 200mm (7.8 inches) and increased the wheelbase by 75mm (2.9 inches). This noticeable increase in length will give occupants more space as well as flexibility for storage, Mini said in a statement. The second seating row has three full seats, and the rear door openings have been enlarged, enabling easier entry and exit, Mini said. Front and rear headroom and legroom have all been increased. The car will be offered with two gasoline and two diesel engines in Europe and two gasoline engines in the U.S. The Countryman plug-in hybrid combines a three-cylinder gasoline engine with a 87 hp electric motor for a combined output of 221 hp. Mini estimated that it has an electric range of 40 km (24 miles). In terms of design, the 2017 model has a boxier, stocky look while sharing design elements of the recently redesigned Clubman and Cooper models. The Countryman will make its world premiere at the Los Angeles auto show next month. Market launch in Europe will begin in February with U.S. market launch following in March. The plug-in hybrid variant is set to launch in June 2017. The Countryman is based on BMW's front- and all-wheel-drive UKL1 architecture like the recently launched Clubman and the BMW 2-series Active Tourer and Grand Tourer.